Join this wonderful orchestra and prepare for performances at festivals and especially Chinese New Year! Learn how to play real Chinese instruments like the Ruan (moon guitar), Erhu (violin) or Dizi (flute). All the instruments are provided and individual tuition can be arranged. The orchestra plays traditional Chinese melodies from Chinese music scores. Some pieces are played in unison in a more traditional style, while others are played in more complicated multi part arrangements in the modern Western influenced style. 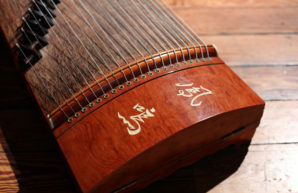 The full range of instruments we have available are: Guzheng (harp), Yanqin (hammer dulcimer), San Xian (3 string banjo), Pipa (Lute), Ruan (lute), Erhu (2 string violin), Liuqin (Lute), Dizi (Flute). The orchestra has members of all ages and differing abilities. A basic proficiency in reading music and playing scales is a good starting point.